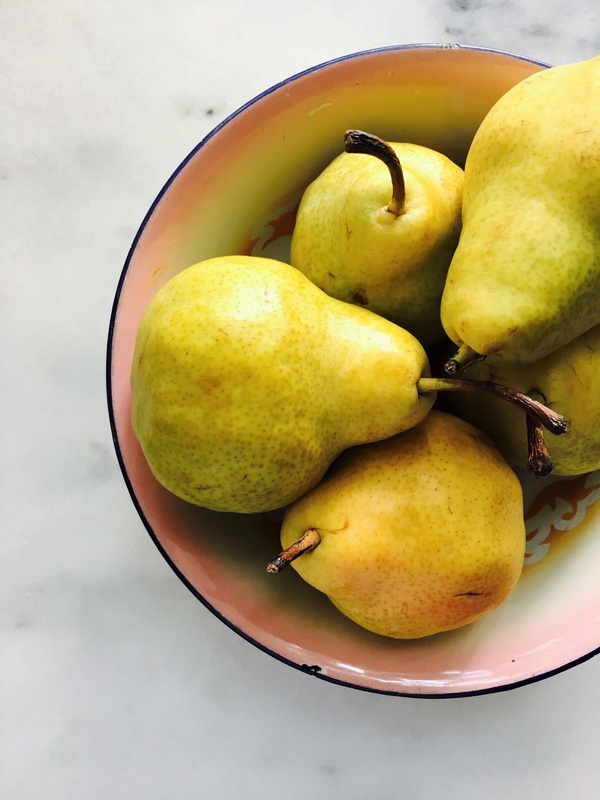 California pears make for ideal, healthy summer snacking as they are loaded with antioxidants, are a good source of fibre, and a source for Vitamin C, potassium and folic acid. 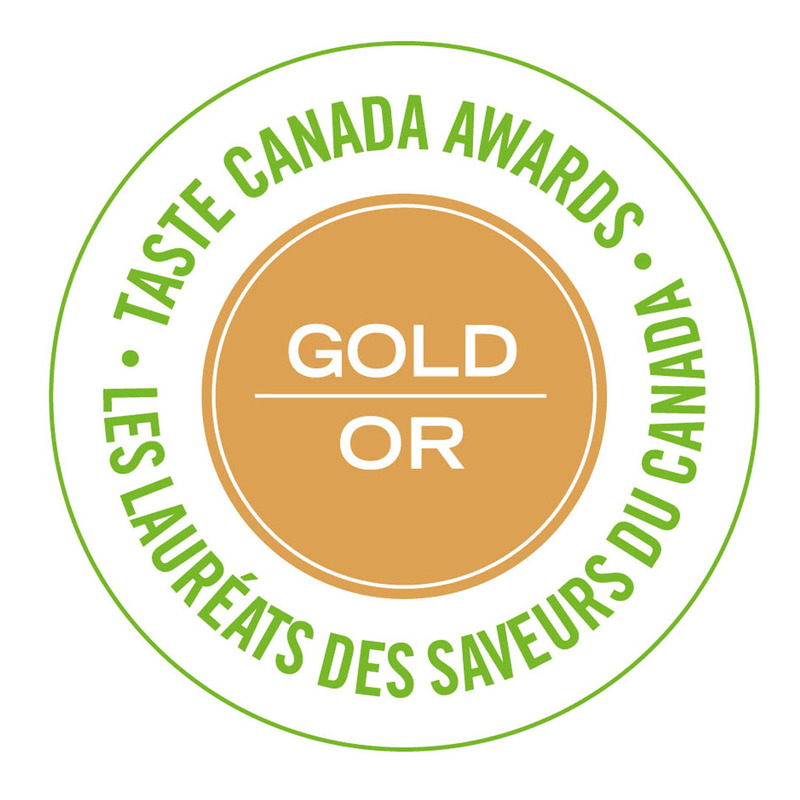 I love eating them out of hand, as their flavour is just so darn fine. 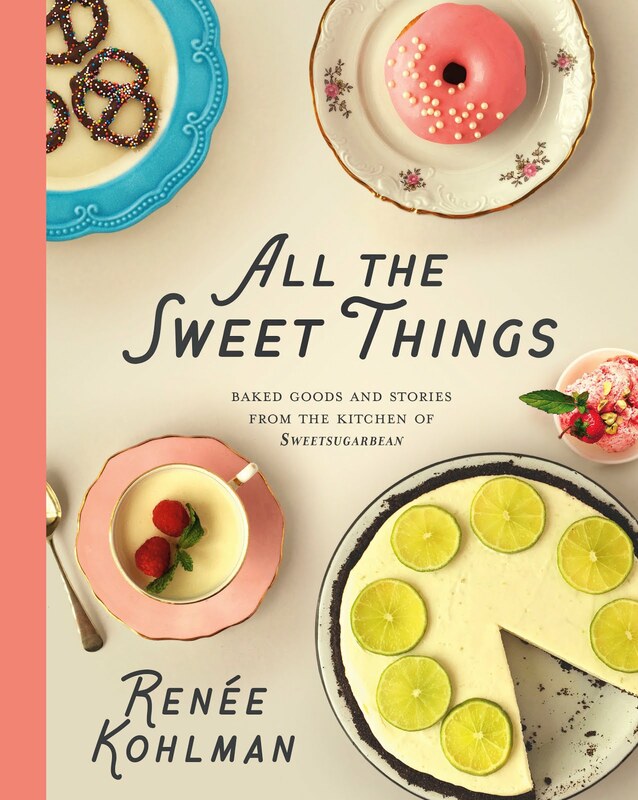 But, if you know me, you know I’m going to bake something delicious with them too. I mean, just look at these tartlets. These tartlets just wouldn’t be the same with any other fruit. And, they make such a great choice for summer entertaining! 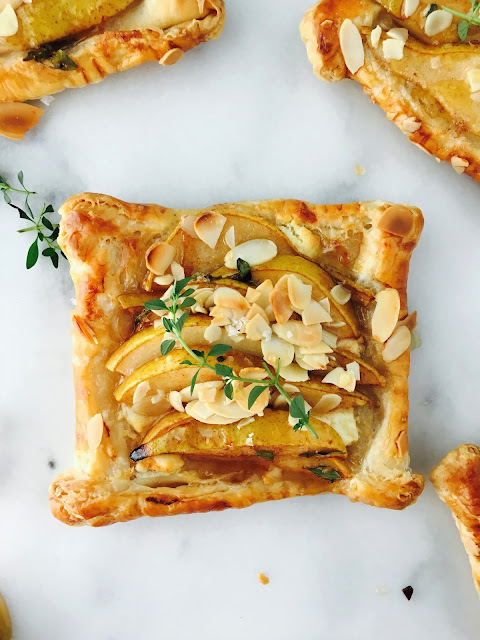 I know these tartlets look fussy, but they are so simple to make, it’s not even funny. Puff pastry is a star, especially the all-butter stuff that is already pre-rolled. If you are ambitious, go ahead and make your own, but frankly I have better things to do. It’s August after all. There is plenty of summer to be had. Next up is the goat cheese. 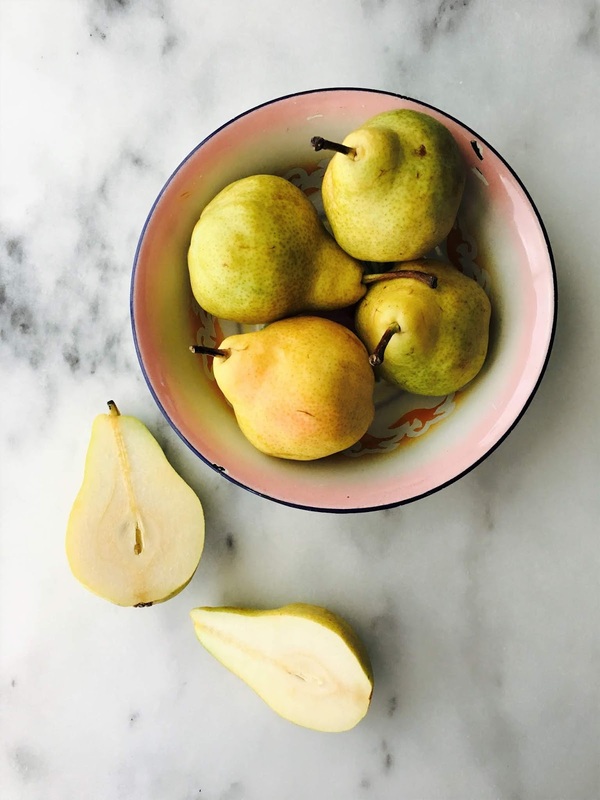 Just a smattering on each square is all you need, and it makes such a good partner to the pears. Speaking of which, they also love mingling with fresh thyme. It might sound weird to put a savoury herb with pears, but the tastebuds are happy with this combo. Trust me. I always have some coarse sugar in the cupboard, as I love it’s texture in baked goods, but if you don’t have any, brown sugar will do nicely. 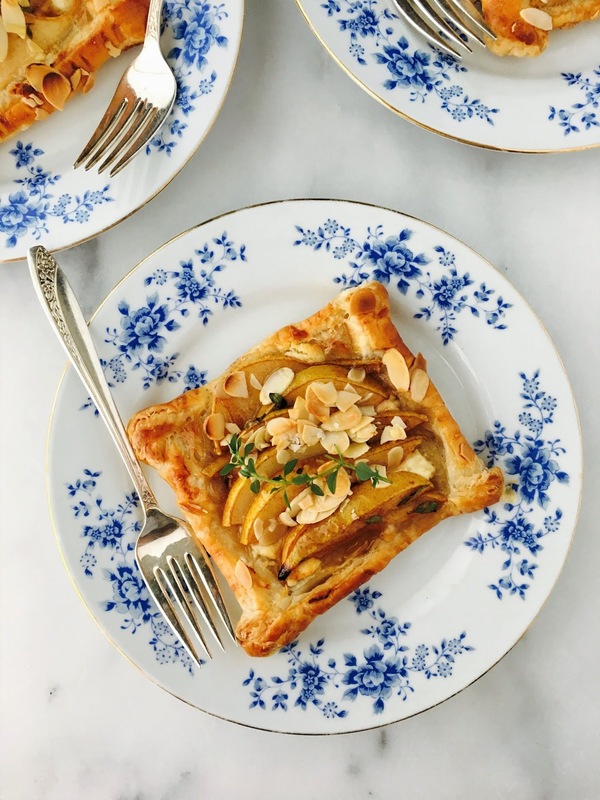 Arrange the pears neatly in each of the puff pastry squares, then sprinkle with the almonds and just a touch of salt. They bake up in no time, all golden and gorgeous. 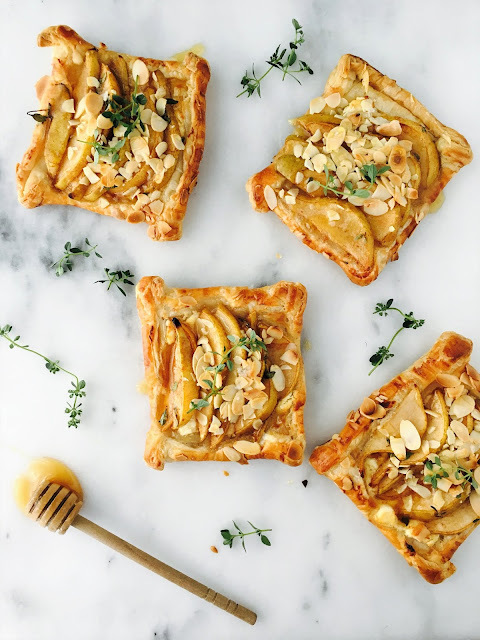 Right before serving, about 10 minutes after they come out of the oven, drizzle some honey over each tartlet and serve. 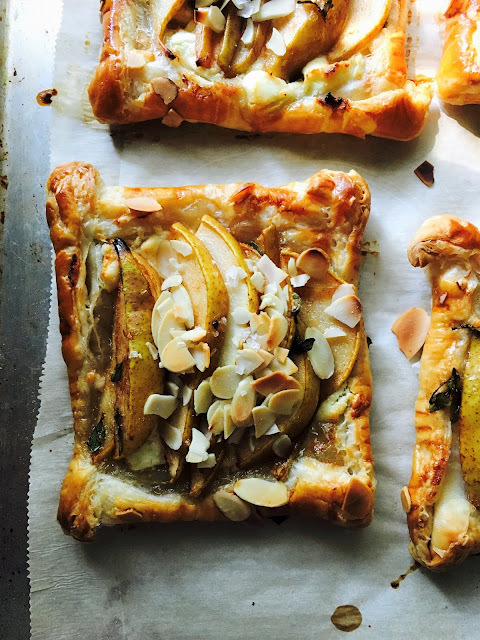 This is some major deliciousness, thanks to the California pears. The tartlets are a little savoury, a little sweet, and I love the crunch of the almonds with the creaminess of the goat cheese. 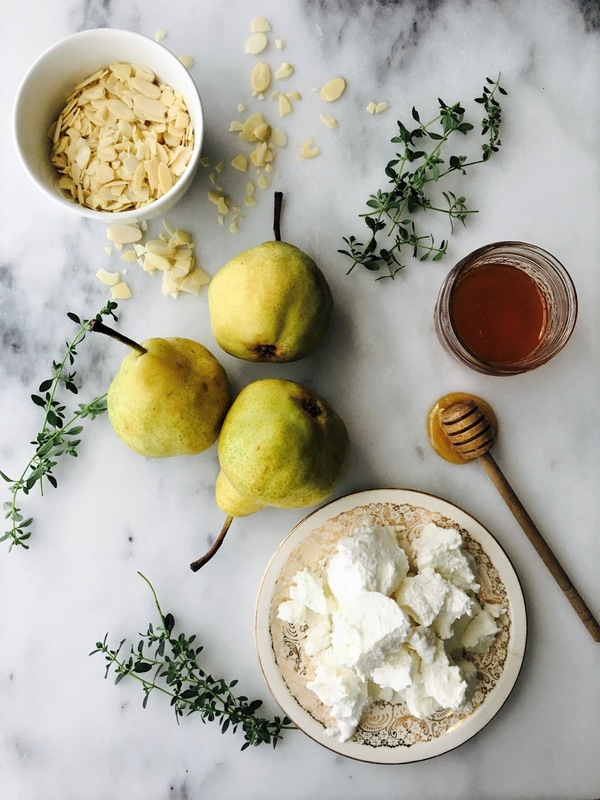 And the pears, well they taste so divine when combined with all of these wonderful things. It’s good summer eats. 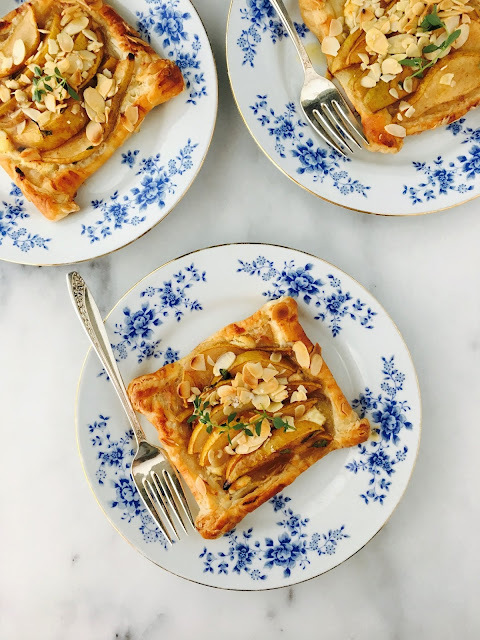 And, I love that these tartlets can double as an appetizer or dessert. Or, even a brunch item, nestled up to my good friend, bacon. 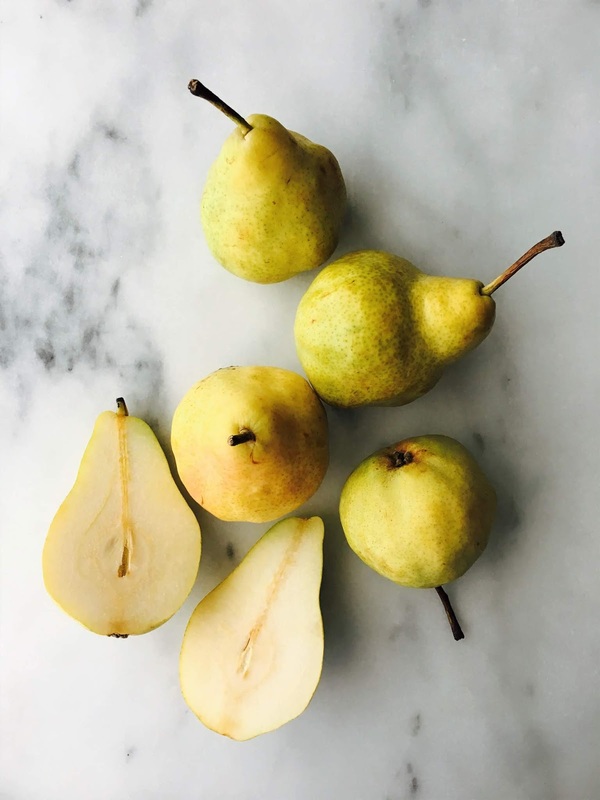 So many options to enjoy the California Bartlett pears before they’re gone! For many other delicious recipes featuring California Bartlett Pears, go to www.calpear.com. 1. Preheat the oven to 375F. Line a baking sheet with parchment paper. 2. Unroll the pastry sheets on a lightly-floured work surface. In a small bowl, whisk together the egg and milk. Cut each piece of puff pastry into 4. Take each piece and fold over the edges, crimping down with a fork. 3. Brush the 8 pieces of puff pastry all over with the egg wash. Edges included! Crumble the goat cheese in each. 4. 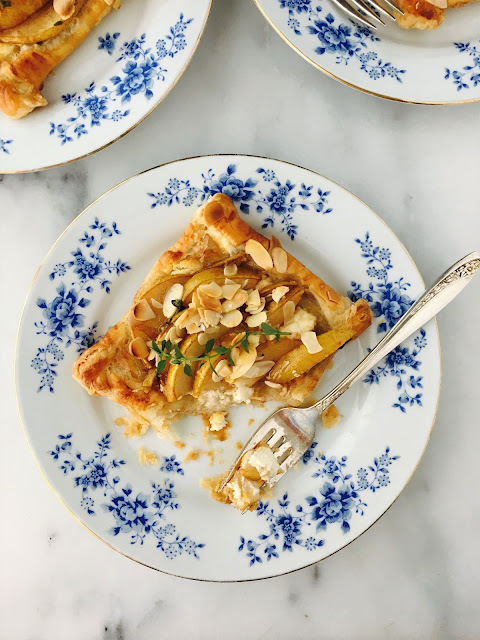 Toss together the slices of pear, sugar, thyme and cinnamon. Line the pears on top of each pastry. Sprinkle with the almonds and sea salt. 5. Bake for about 25-30 minutes, until the edges are golden brown. Remove from the oven and let cool on a wire rack for 10 minutes. Drizzle with honey before serving. Makes 8 servings.